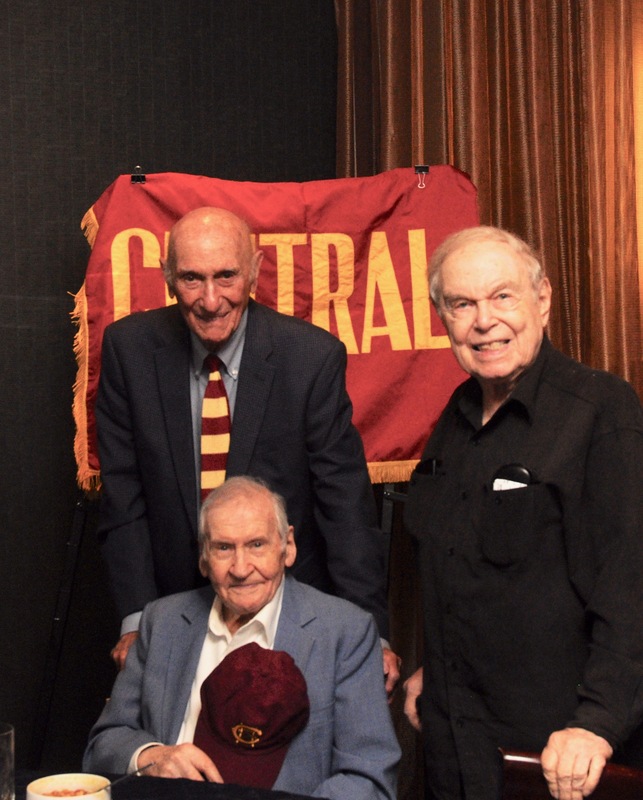 The 177th Class celebrated its 76th Reunion on Monday, October 1, 2018. The reunion was held at the Delmonico’s Restaurant on City Avenue located inside the Hilton Philadelphia Hotel. Fred Lehman (seated), Milt Dienes (behind Fred), Paul Isakoff (right) celebrating their 76th Reunion of the 177th Class. 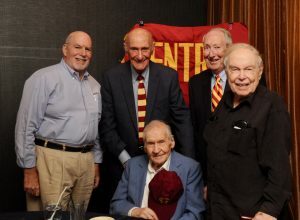 The men in attendance as pictured on the right included Milton Dienes, Paul Isakoff, and Fred Lehman. H. Leon Bradlow sent a short video to his fellow classmates and lifelong buddies with some endearing comments and that he was looking forward to the next reunion. Stephen Chappell, AACHS President (209) had this to say: “David Kahn, AACHS Archivist (220) and I had the pleasure of being invited to the 76th reunion of the 177 class. 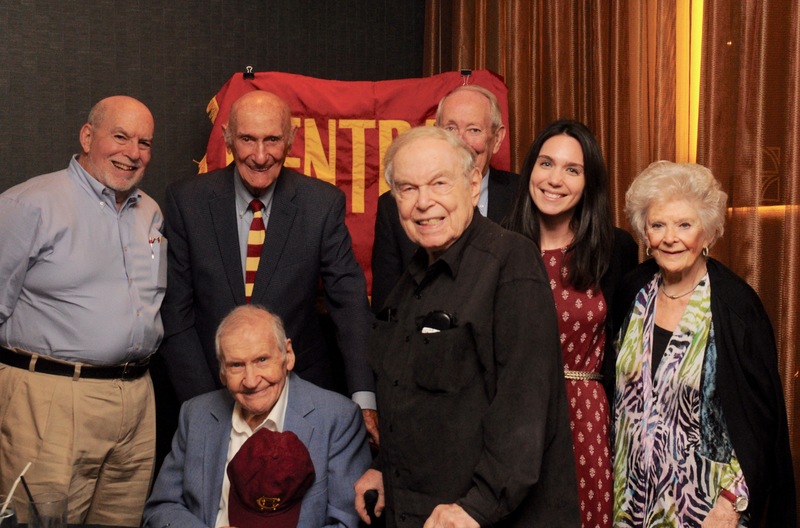 The class has met every year since graduating in 1942. This entry was posted in Reunion and tagged 177, reunion. Bookmark the permalink. ← One Point. One Request. AACHS Lawyers, the CHS Mock Trial Team needs your help.